Peter Lynch insists that you do not need to be an expert to make great investments. In fact, the layperson has a serious advantage over an expert is cooped up in the office all day. You can make extremely profitable investments by simply observing your immediate surroundings – from your workplace to your visits to the mall. ﻿﻿These﻿﻿ are companies that haven’t reached the ears of the expert yet – and that’s precisely why they are undervalued. These are opportunities to receive a ten-fold return on your investment. Lynch suggest that a tip from the top news channels are probably the worst to follow. If there’s a stock you’re thinking of buying and CNBC says it’s hot -– forget about it. If you own that stock -– it may be time to sell it quickly! ​Hot-picks like these often get overvalued and either cost you money or don’t make enough gains once ﻿they’ve﻿ reached the public eye. For example, if P&G come out with a new hot product — no matter how well the product does, it's not going to cause a huge spike in their shares. Why? Because ﻿﻿P&G ﻿﻿has﻿﻿ countless of products﻿﻿ that all contribute to the profits of the company. ​Lynch advises the reader to be wary of companies that diversify. Diversifications have great potential for growth, but they are often done wrong. Profitable companies that look to diversify tend to waste their money on overpriced acquisitions that they do not fully understand. As a result, the acquisition is mismanaged and results in heavy losses. Companies looking to diversify should be a warning sign. If you hold the stock, it may be time to sell. If you’re considering buying – you may want to stay away. Overall, Peter Lynch provides us with a great primer to investing. The book seems highly anecdotal. But I believe that’s precisely the author's underlying message — investing doesn’t need to be a complicated process. He relates his experiences — several of them, mind you — in an attempt to get his idea across. While some may bash the books for this approach, I appreciate it for it’s own charm. I pictured myself sitting across Lynch over a cup-of-a-joe while he dispensed his priceless wisdom upon me. Now — how much would YOU pay for a meeting like that? We delivered one page summaries & actionable content to our readers every ﻿week﻿! No fluff. Just concise, actionable content. Positioning Book Summary – Are you positioning for power? Rework Book Summary – Are you ‘working’ correctly? Five Books Summarised For You! Fast-track your learning with this book! Key insights from the top books in our industry! 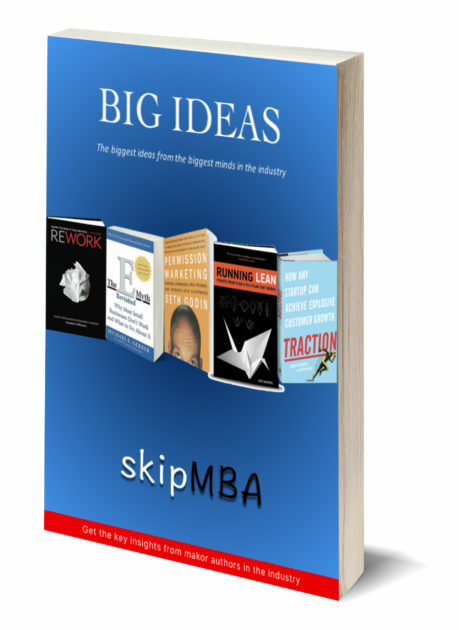 Shawn has done an amazing job in compiling the key insights from all these authors. I can discuss these books with colleagues and friends as though I've read these books myself! A great time-saver. Clear & concise! No time to read? Try FREE Audiobooks!